Mrs. Davis' sixth grade students are both knowledgeable and creative. 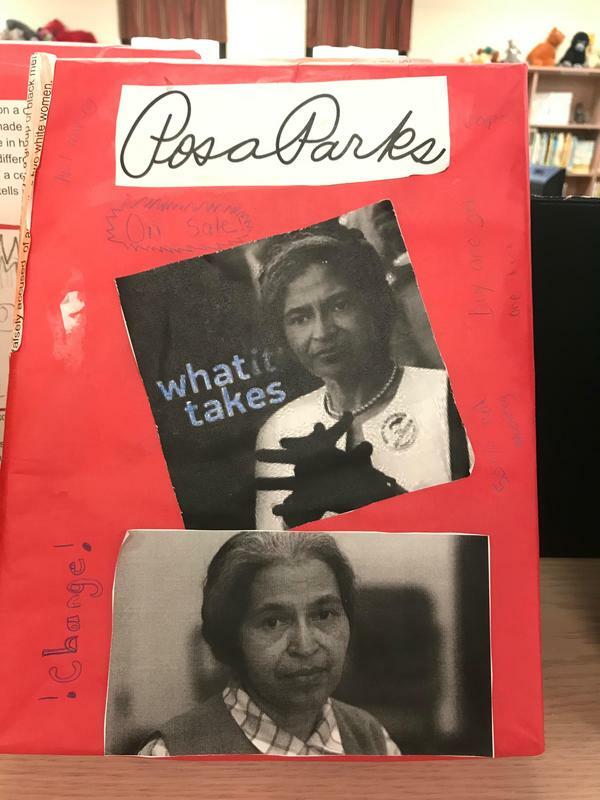 Students used cereal boxes and shoe boxes to showcase knowledge about famous African-Americans. The displays are available as photos for viewing in our web page gallery. The actual products are on display in the Eagle's Nest (library media center). This graded project generated lots of 100's.